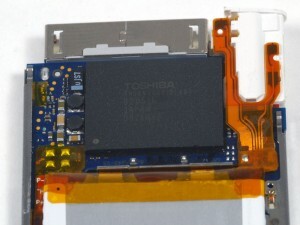 iPod Touch 2G hack soon? 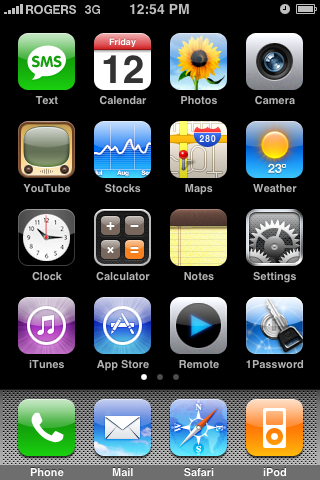 DevTeam published first screenshot about their procress of hacking (jailbreaking, pwning) new iPod Touch. New device has new hardware, that might be used in future iPhones. The DevTeam work just started, so the fun part is coming. Jamesisbored published a guide, that shows how to block ads, that show up in Safari browser during web surfing. MobileSafari has one major drawback. Up until now, there was no way to block ads. 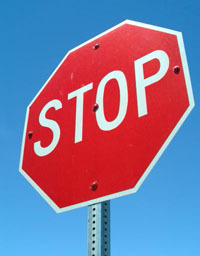 Ads increase the load time of a webpage, and especially on EDGE cause the internet to crawl. Blocking them will give you a lot of extra speed. This is one of the simplest hacks available for your iPhone. You will need to be Jailbroken and have the 2.0 Update, or later. 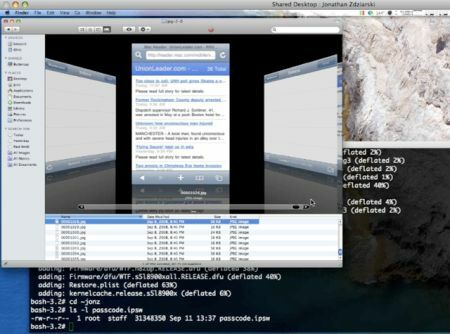 Connect to your iPhone through SSH, iPhoneBrowser, or some other tool. 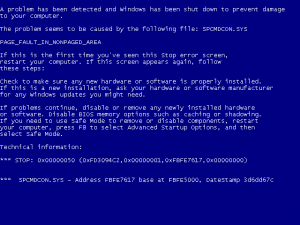 Now download this replacement hosts file. Replace iPhone's file with this one. This hack has been tested and confirmed to be working on the iPhone 2.1 Update. WinPwn developer posted a note, that the new version of WinPwn will be soon. That is all, not much details. 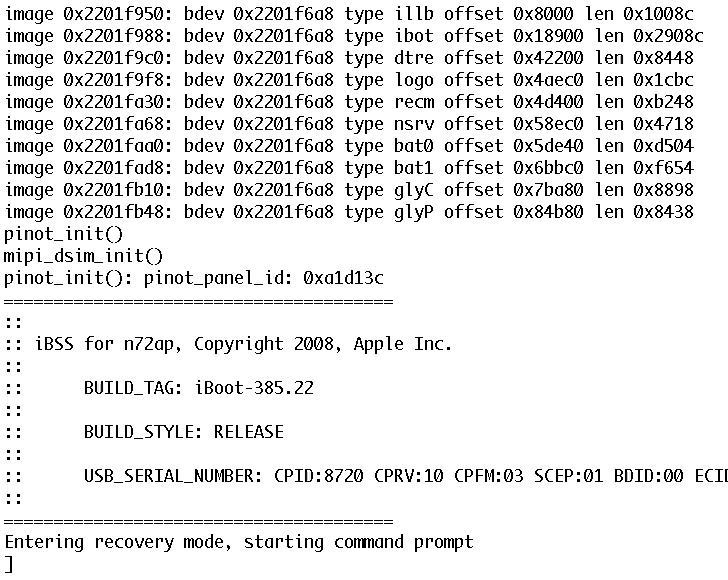 New version will probably support new firmware version 2.1. What apps do not work with OS 2.1 yet? BossPrefs and Categories are updated for 2.1 firmware. As usual, download it from Cydia Installer. It is recommended that you all hold off jailbreaking 2.1. There are many issues that dev team is working through. A jailbreak isn’t quite enough. Many apps are not yet stable. Categories will not work because we cannot launch one app from another at this time. Cydia is not yet stable. I recommend you wait a day or two still. Dev Team released QuickPwn and PwnageTool for firmware 2.1 (2g firmware, 3g firmware). It doesn't work with new iPod yet. Mac OS versions only for now. 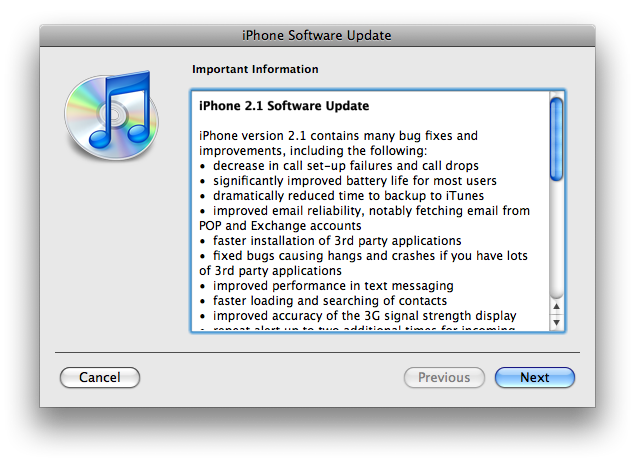 Theiphoneblog just published first screenshots of the new iPhones firmware 2.1. Running 2.1 (5F136) now, and here’s what we’re noticing: WiFi works fine (tried on Apple and Linksys routers). New icons for connection type (3G/Edge) in the top bar. New blue filled and half-filled dots to describe state of video and podcasts (watched/listened to). Genius Playlists don’t seem to work as well as iTunes 8, at least for me, with lots of songs coming back as “not related”. 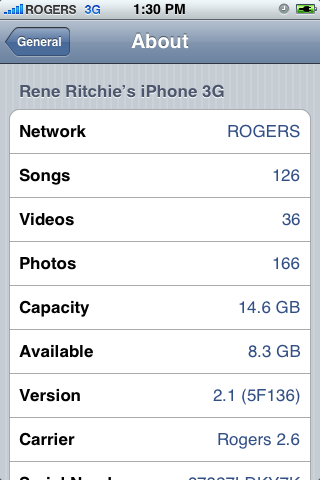 The 2.1 firmware is build 5F136 (weighing in at 237.8MB) and can be directly downloaded through iTunes. The new firmware also contains a number of security fixes including the well publicized passcode flaw. Jailbreak for 2.1 is not avaliable yet. It's amazing, how curious some people are. iPhone hacker and data-forensics expert Jonathan Zdziarski explained that iPhone snaps a screenshot of your most recent action -- regardless of whether it's sending a text message, e-mailing or browsing a web page -- in order to cache it. This is purely for aesthetic purposes: When an iPhone user taps the Home button, the window of the application you have open shrinks and disappears. 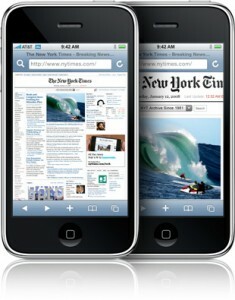 In order to create that shrinking effect, the iPhone snaps a screenshot, Zdziarski said. The phone presumably deletes the image after you close the application. 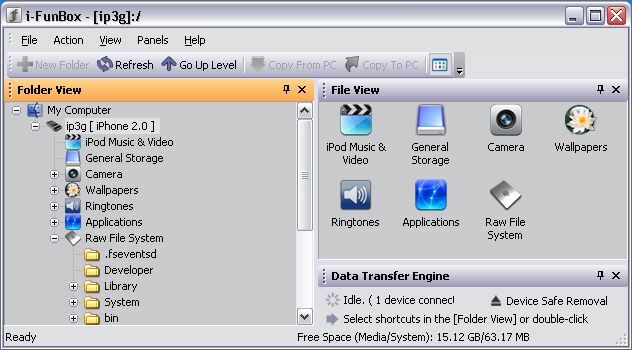 But anyone who understands data is aware that in most cases, deletion does not permanently remove files from a storage device. Zdziarski demonstrated that if you know what you're doing (and you've got over an hour), you can recover the file system and see many, many of these grabs. "This flaw can only be exploited by somebody with physical access to a device, but your phone could get into the hands of someone with more malicious intent," he said. "Obviously, you don't want to trust any of your data to a passcode." Gadget Lab is also reporting that Zdziarski said forensics experts have actually used this method to solve serious crimes. Separately, iFixIt dissected the new iPod nano and observed that the unit's 3.2 mm wide dock connector "looks pretty big compared to the iPod" itself, making it unlikely that Apple will be able to slim down player any further without developing a new dock connector. A particularly surprising find was that the new nano uses a real piece of curved glass, "about .7 mm thick on the edges, and 1.7 mm thick in the middle," to cover the LCD display. 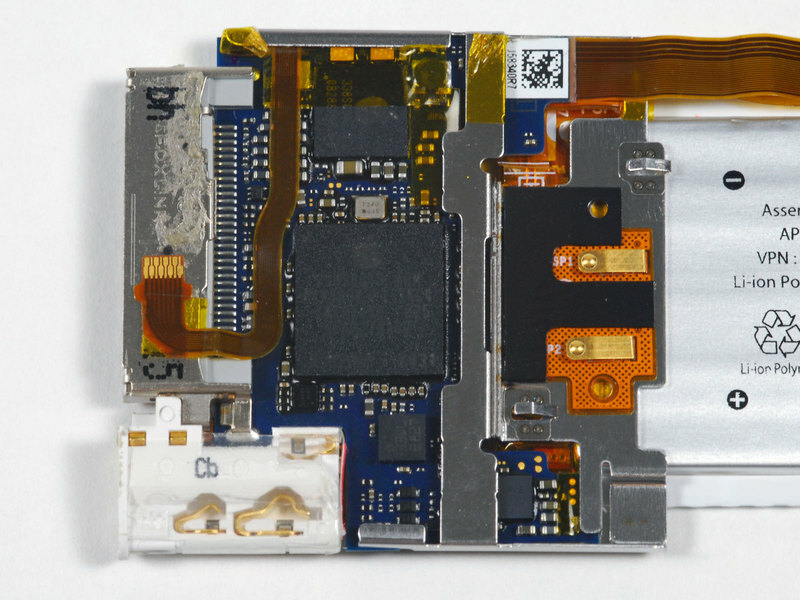 The glass is said to be completely separate from the player's anodized aluminum enclosure, with nothing holding it in place outside the force of the adjacent components. The LCD itself "is actually almost exactly the same size as the 3rd Gen Nano LCD," iFixIt said, with the only difference being a resolution of 240x320 rather than 320x240. Among the nano's internal components are a Apple-branded ARM processor manufactured by Samsung in July with on-board DRAM on-package, three other small Apple-branded chips of unknown origin, and an 8 GB Toshiba flash chip. 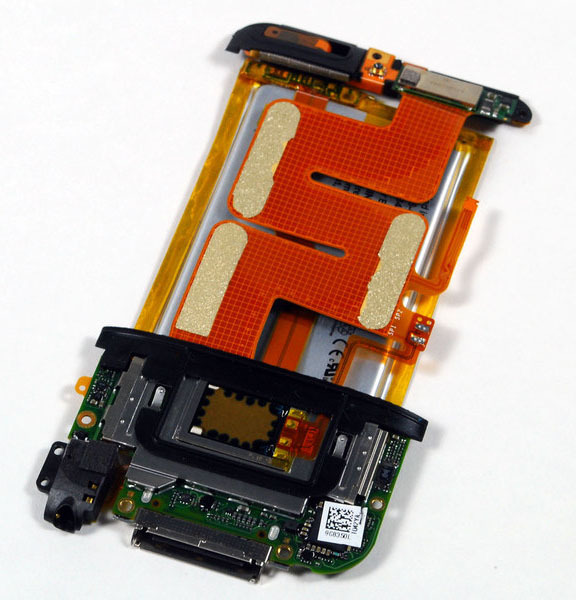 "Unfortunately, the battery is soldered to the logic board," iFixIt said. "Replacing the Nano's battery isn't going to be easy." 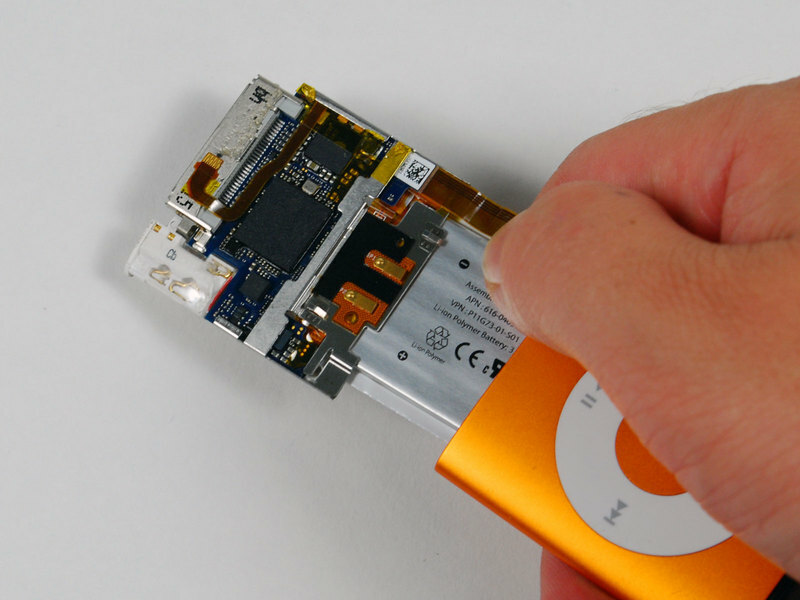 The folks at iFixIt received a brand new iPod Touch, which they disassembled right away. Both the touch's 3.5-inch LCD display as well as its Lithium-ion polymer battery are held in place with strips of double-sided tape. The WiFi antenna and circuitry, which are located at the top of the unit, are connected to the main logic board by wide orange cable that were designed to prevent external noise from interfering with the digital signals as they travel along the device, iFixIt says. The specialty online reseller, which offers replacement parts for Macs and iPods, was particularly excited by its discovery of an unpublicized Broadcom BCM4325 Bluetooth chip within the device. 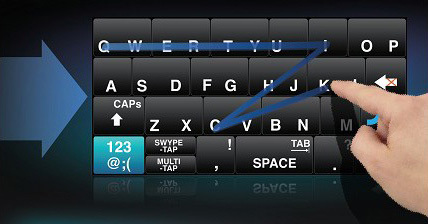 The particular chipset supports BT2.1+EDR, and is necessary for the touch's built-in support of Nike+ iPod technology. It's unclear, however, whether the chip supports A2DP, which would pave the way for Apple and third-party developers to introduce stereo headphones for the player. 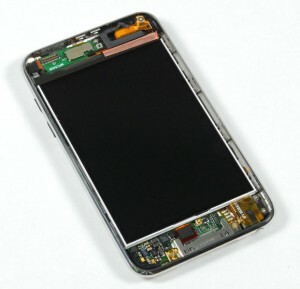 iFixIt also discovered brown rectangular component centered about three quarters of the way down the touch's logic board, which is suspected to be the device's speaker. Other discoveries include a 3.7 V Lithium-ion polymer battery with part number 616-0404, NAND flash memory from Micron with part number 29F64G08TAA, and an Apple-branded Samsung-manufactured ARM processor with SDRAM that's similar to the one employed by the iPhone.